If épée is the weapon of the patient, defensive strategist, the sabre is its polar opposite. In sabre, the rules of right of way strongly favor the fencer who attacks first, and a mere graze by the blade against the lamé registers a touch with the scoring machine. 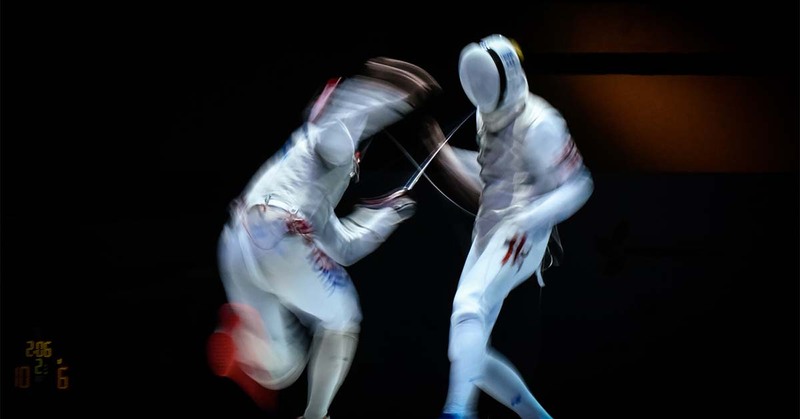 These circumstances make sabre a fast, aggressive game, as fencers rush their opponent the moment the referee gives them the instruction to fence. In fact, a lopsided sabre match can literally be over in seconds. As fending off the attack of a skilled opponent is nearly impossible, sabre fencers very rarely take the defensive intentionally. However, when forced to do so, they often go all-out using spectacular tactical combinations in which victory or defeat is determined by a hair’s breadth. We teach sabre alongside épée and foil at Lilov Fencing Academy in Cedar Grove. We believe it is important for children interested in fencing to have access to fencing coaches who are the best in each style of fencing so that your child can find the style that fits him or her best. Contact us today for more information about our classes, fencing lessons, and fencing camps.